Yes, you can wear joggers. We'll show you how to incorporate them into your current style. Ah, joggers. Few menswear items have caused such a dramatic love-hate relationship. It's rare that we get a truly new introduction to men's clothing – almost everything is a copy of something that has come before it, with the fit tweaked for modern trends. But up until just a few years ago joggers didn't exist. Are they chinos with tapered elastic cuffs? Are they sweatpants made out of chino material? 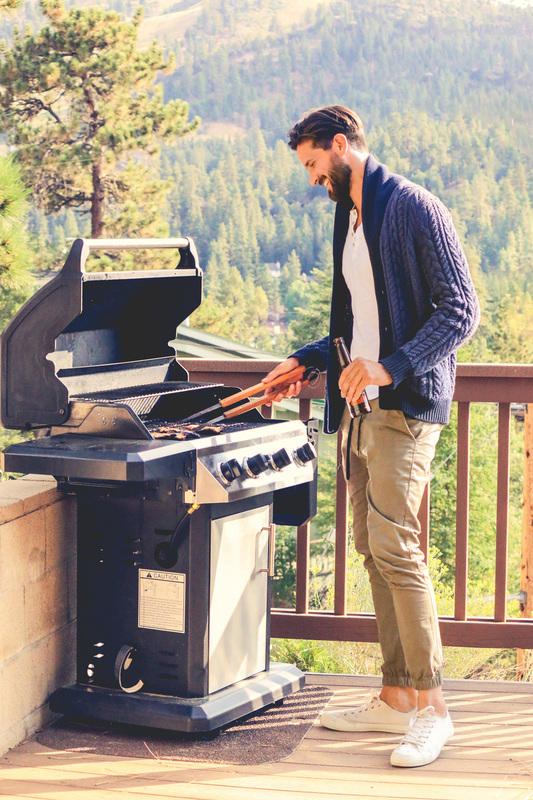 With a looser crotch and slim leg, the jogger represents a novel entry into a man's pant options. Joggers got their start in the high end sneaker scene, with fashionable sneakerheads looking for a way to display their kicks with pride, without the shoes being covered by the bottom of their pant legs. I personally resisted the trend for years, feeling like the look was too fashion forward for my own tastes. 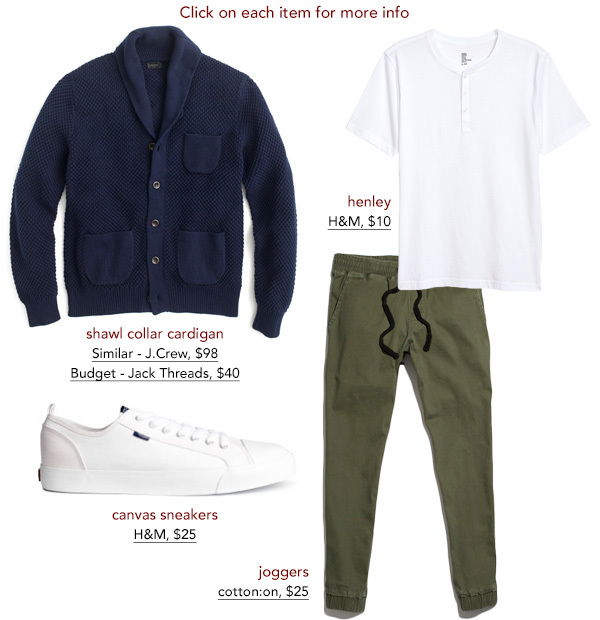 But with the look firmly engrained in men's style for 6 years, and with Primer fav brands like J.Crew and Frank & Oak adopting the style, there's no argument joggers have entered casual style for the everyday man. Primer contributor Shane Martin shows us how to incorporate them into what you're wearing by creating balance. If joggers just feel completely outside of your personal style, try to see them more as something to augment it, not change it to more street/sneaker wear. 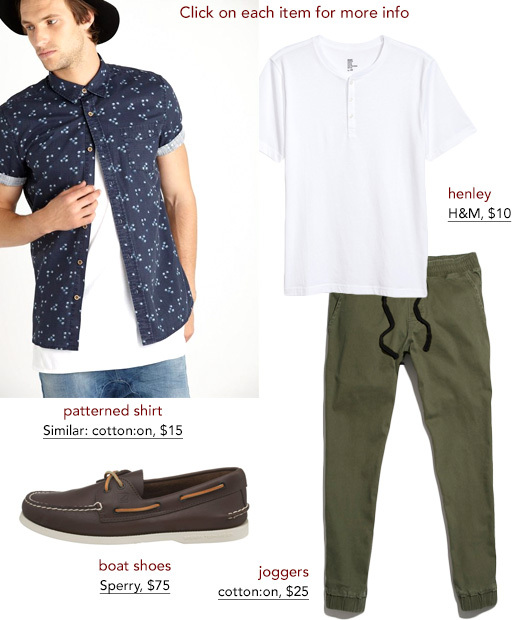 Pairing them with boat shoes counterweights the joggers with a traditional, conservative staple. Surprisingly, they feel like a natural combination because of the pants' chino material. The henley is a great looking base regardless of what personal style you identify with and the micro pattern short sleeve button up represents one of the more common style trends to emerge this year. 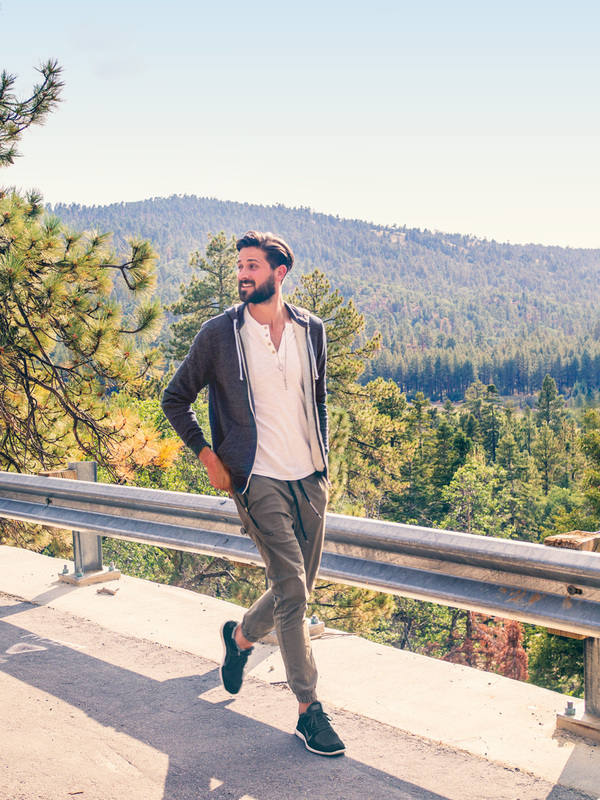 The joggers act as a more casual alternative to traditional khakis – perfect for a weekend getaway to the mountains. The joggers silhouette has clear similarities to traditional cuff sweatpants, and makes them a perfect inclusion to a casual athletic Getup. The chino material and short sleeve henley keep you looking planned instead of just in pajamas you rolled out of bed in. A lot of guys see a shawl collar cardigan and assume its place is with a business casual work outfit. And it certainly looks great there, but the chunky cardigan really shines in super casual outfits. If you're heading to the woods with someone special, it can be tough to figure out what to pack. You want to look good and make a good impression but you can feel completely overdressed in your normal go-to favorite outfits. That's where the chunky cardigan comes in. Taking the place of a light jacket, it immediately adds weight and intention to the other casual elements of the outfit. We took these photos in Big Bear Lake, California, a ski town that's dead in the summer. That makes it the perfect jaunt for a weekend away, not only because it's gorgeous, green, and empty, but it costs half as much to stay there since most people don't head there in the warmer months. Only 2.5 hours outside of LA (an hour of that is getting to the top of the mountain), it's an obvious, beautiful getaway that almost no one takes advantage of in the summer. If you're looking to get out of town while saving some dough, think of all the nearby spots most people go during the opposite time of the year. Big Bear is great year round just like Mammoth. Skiing and snowboarding in the winter, boating on the lake, hiking, and mountain biking in the summer. I’m always amazed by how many Angelenos have never been there. Land’s End Canvas do a similar one to the picture it looks pretty good. Good call! The LEC one does look really nice. 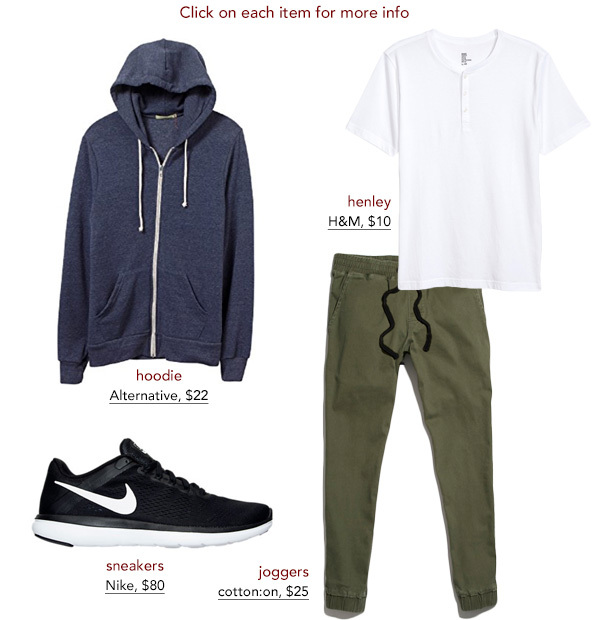 How does J Crew fit? I’ve tried a j crew small and I’m a 38inch chest but it get really tight. Did you go for a medium? I bought the medium. I’m a 40″ chest. Fits great for me. I’d live in the second and third outfits. I work remote, so no one cares what I wear, and those look super comfortable. Looks like Shane figured out the whole hair thing. My god man. This site has turned a weird corner. The article where you used your self as the model was particularly disturbing. I would not be surprised if the next article was titled ” What hair band to use in your man bun. ” You seem to be moving away from classic men’s style and into men’s fashion trends and a celebration of yourself. Can’t really get into the joggers trend…they just seem like something you would wear around the house and not out and about. Easily replaceable in these outfits though so thanks for the post! Those have to be the ugliest pants I’ve seen since the Reagan administration. What color are those joggers? They look green to me but on their website they have what seems like 50 shades of green. Can’t see myself wearing them on the street, but maybe for lounging (or spending $40 on them, since that’s the price they have on their website). I tried the Joggers but I unfortunately have short legs so all of them are too long on me. I’ve opted instead for pin-rolled slim-fit chinos and it’s been working out pretty well. Thanks for the inspiration!